Stonewall Kitchen Traditional Pub Style Mustard - Hearty & bursting with flavor, Stonewall Kitchen Pub Style mustard is incredible as a sandwich spread, as a dipping sauce for grilled shrimp, chicken or sausage, or blended into a vinaigrette. Exceptional quality foods made from the finest ingredients, the hallmark of Stonewall Kitchen. Enjoy! 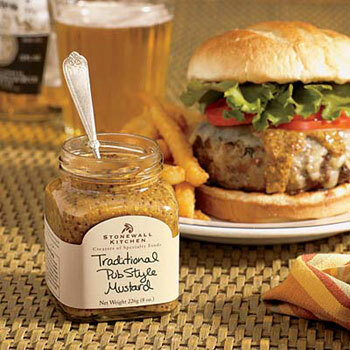 Stonewall Kitchen Traditional Pub Style Mustard.